Thank you for taking the time to view my review of the Ehpro Mod 101 Pro kit which was sent directly from Ehpro for the purpose of this review. First off let me say that the pre-production sample I received contained the Froggy RDA in the kit but they sent the Lock RDA in a separate box. 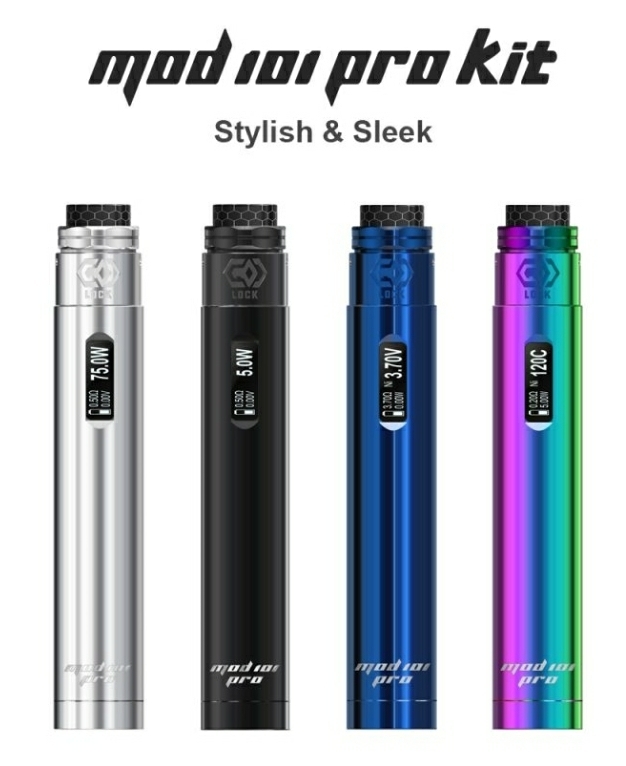 Looking over there website for the kit: https://www.szehpro.com/project/mod-101-pro-kit/ I noticed the Froggy RDA is nowhere to be found, guess it was ditched in favor of the Lock RDA. 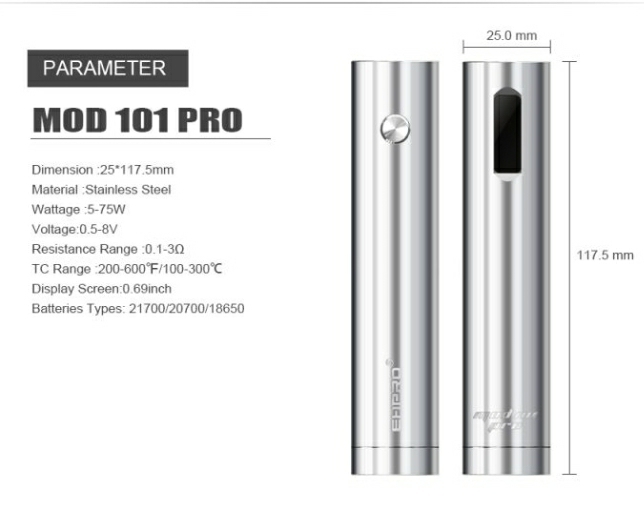 The Mod 101 Pro is an upgrade over the previous Mod 101 but adds the ability to use 20700 and 21700 batteries along with 18650 with the included adapter. 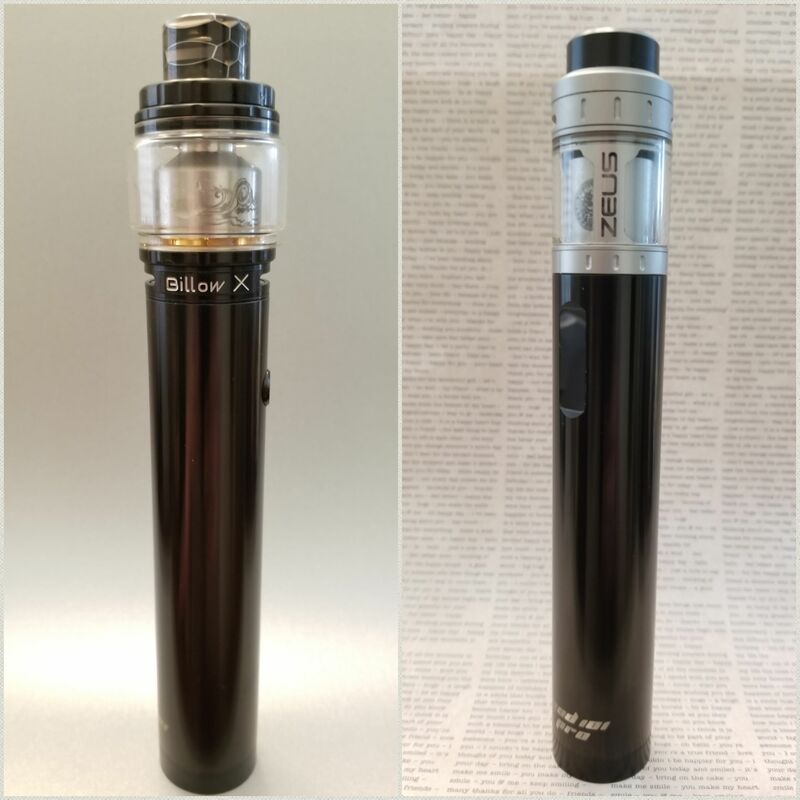 Never having owned the original I had always heard good things so I was excited to try the Pro version as I am a big fan of single 21700 mods. Ignore the Froggy RDA in these pics, too late for me to retake these shots….lol. Nice SS threading and a 510 pin with a decent amount of travel and not too stiff. Battery orientation clearly marked on battery cover, not inside the mod though. Great threads on the battery cap, grabs easily and smooth as silk. 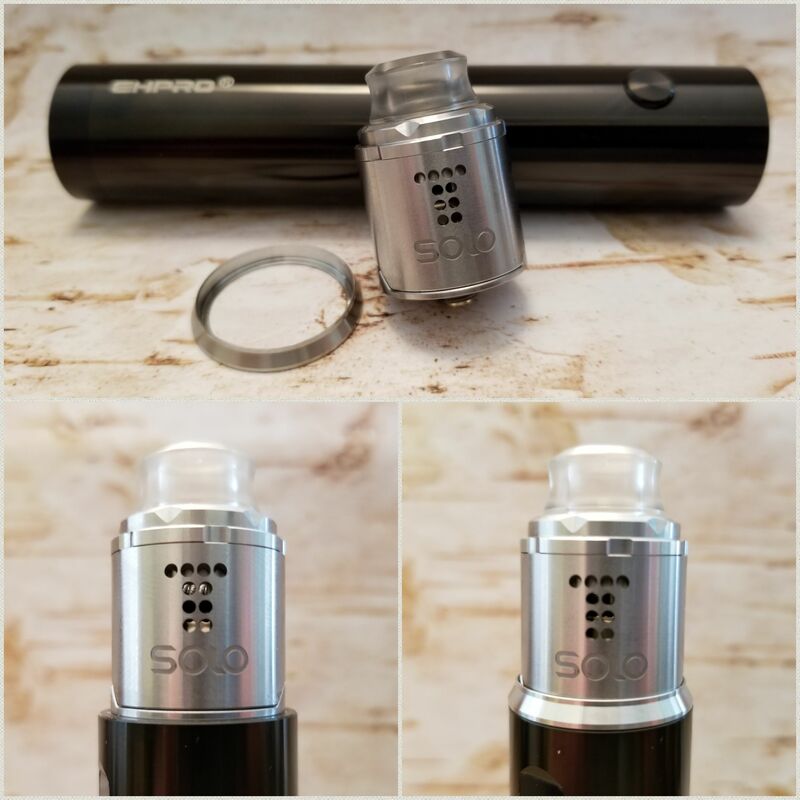 Comes with a beauty ring for 22mm tanks but mine was SS, not sure if they will all be like that or if it will be the color of the actual mod, a black one would have been nice. Here is a pic of it with the 22mm Drop Solo RDA. The one thing missing I wish it had was a USB plug, that means no firmware updates or on board charging. The firmware in my testing was solid but sometimes it is nice to be able to get a little charge on the road. 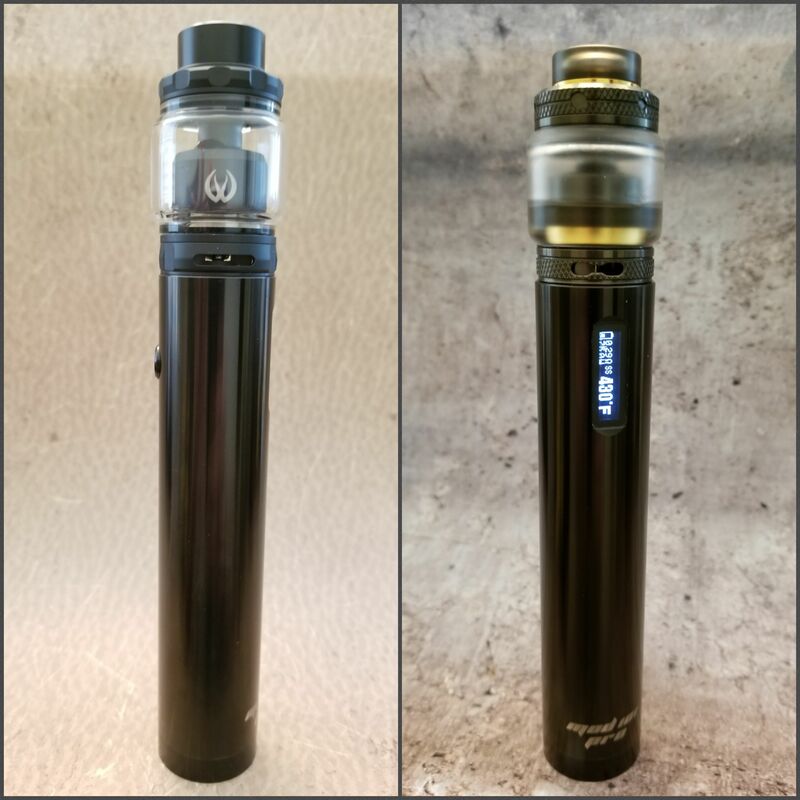 Being 25mm in diameter means 25mm tanks will look best, look how good the Ehpro Billow X and Geekvape Zeus look on there. The Vandy Vape Revolver is almost there and even the 24mm Coilart Mage V2 doesn’t look too bad. 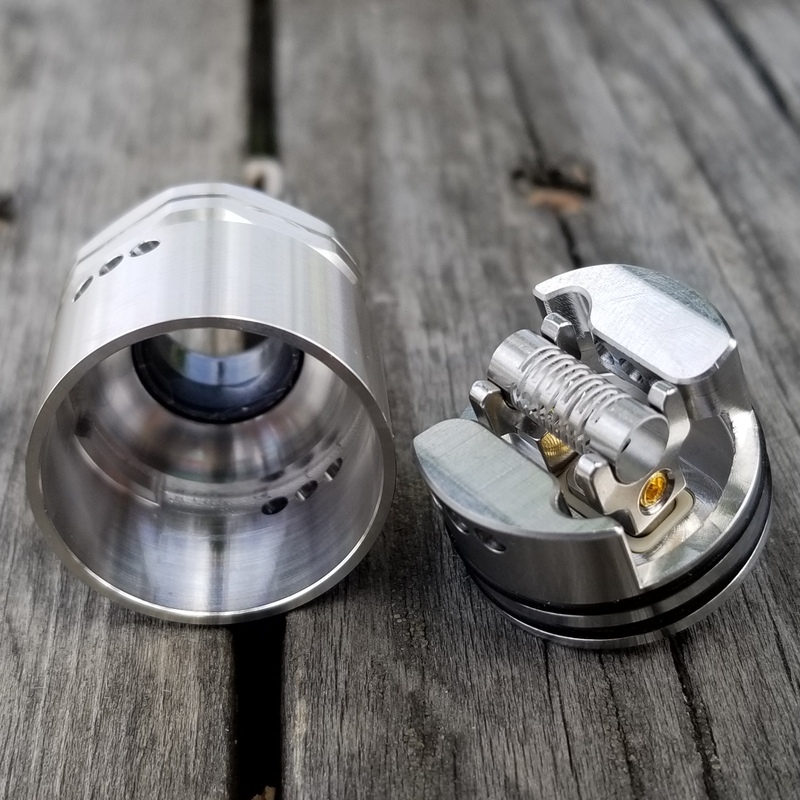 The Lock RDA which is now included is Ehpro’s take on a Notch coil, either you love them or hate them. Not limited to using Notch coils though it does have a postless deck to instal a normal single coil, dual coils are not an option and probably best for a single battery device. Being a single button device it is going to take a little getting use to, you turn on and off the mod with 5 clicks which is the norm. To get into the menu you click 3 times then click once to scroll through until you find the setting you want then wait 3 seconds. Say you wanted to change modes, Click 3 times to enter the menu, click the button 1 time each until you land on WorkMode Set then wait 3 seconds, then click through 6 presets: Ni Temp, Ti Temp, SS Temp, TCR Temp, Power and Bypass. Once you land on the mode you want wait 3 seconds and it will be selected. if you choose any of temp modes the next screen after waiting 3 seconds will be to set your watts, from 5 to 75 watts, then wait 3 seconds and select your temp. When selecting watts or temp you will either be going up or down and it round robins, if you want to change the direction click the fire button 2 times and the opposite arrow with be highlighted. It is a little tricky at first but I was able to figure it out without going into the owners manual. Being a single 21700 they cap the watts at 75 max and testing at that output it seemed just a tad low compared to a DNA250C mod but not by much. In power mode it was respectable and never gave me a hiccup but you can tell it begins to throttle back as the battery drains, smart from a safety perspective. No preheat options but I didn’t miss it, not a…Whoa type of hit but no delays either, just a steady hit of power like you would expect. In SS TC mode this is a performer, a little on the cool side so I bumped it up about 10F to get what I wanted but it never let me down and was never kicked out of TC. Reads the ohms just about perfect too, if off never more than 0.01 which tells me there is a good connection. For those that like to fine tune there temp that might be a problem, only adjusts in 10F but I never found it a problem for me. 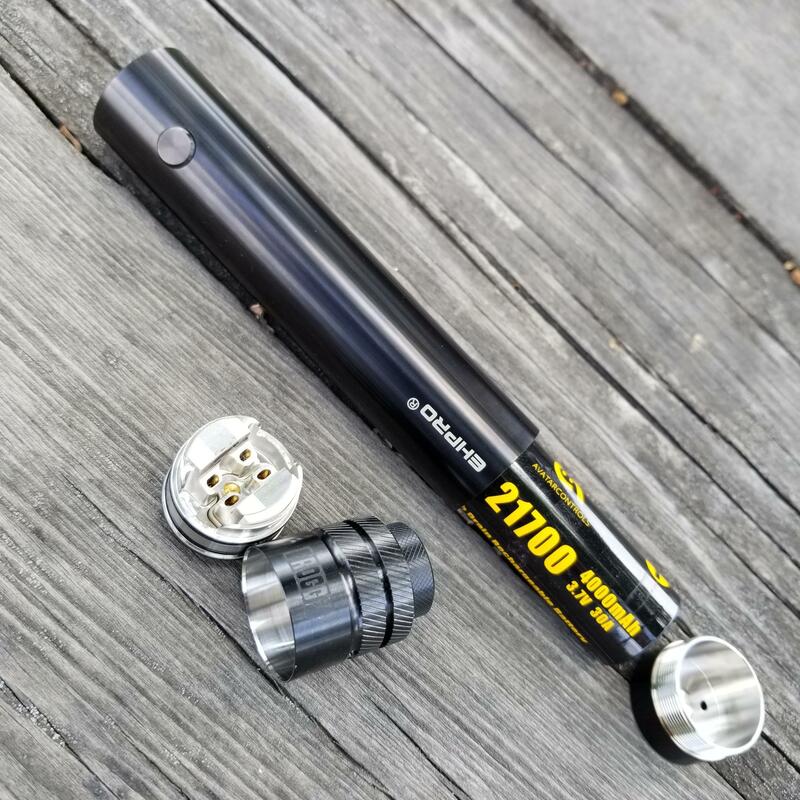 While not on par with a Yihi or DNA chip for TC it is a solid 2nd tier TC mod, a smooth draw with no pulsing and excellent dry hit protection. No puff counter so can’t judge that way for battery life but I found it to be decent with a good 21700 battery. I risked it a lot of times taking the Mod 101 Pro with me on the road with no extra battery and no way to charge it and luckily it didn’t let me down. I of course made sure to run it sensibly, in power mode at around 45 to 55 watts or in TC and I found the battery life to be just enough for my travels around town. One thing to note is I noticed heat build up near the bottom of the Mod 101 Pro when using some 20700 batteries, never happened with 21700. I mentioned this to Ehpro and they said they were aware of the issue and were making changes to the production units so good on them. Now I am not a big fan of Notch coils but that is the way I tried it at first. Not bad but pretty much what I was expecting from a Notch coil. 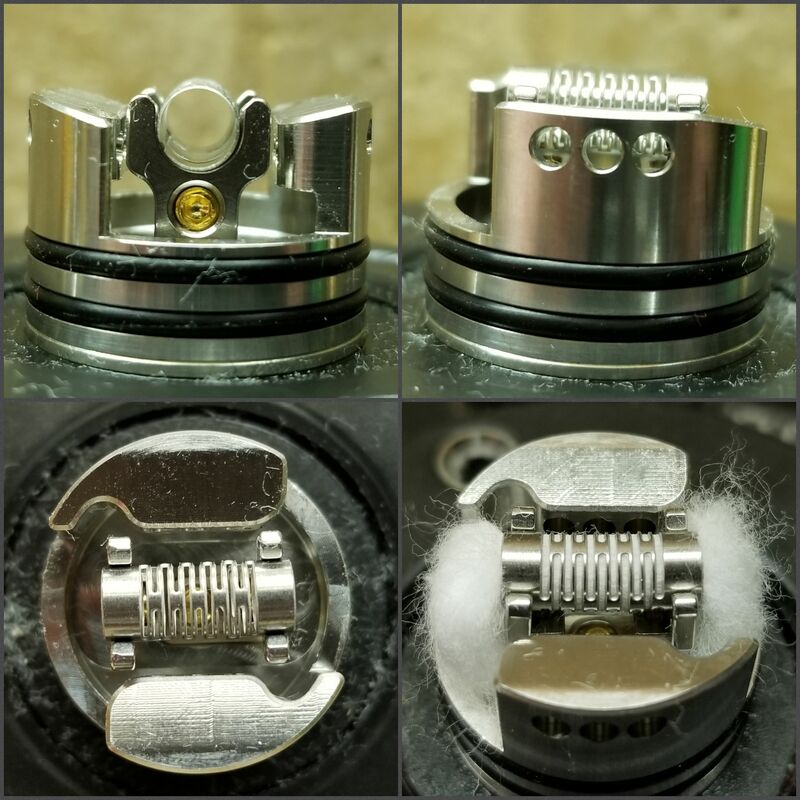 Notch coils have a quick ramp up time and wicking them correctly is important, you want to make sure your cotton is in the Notch Coil snug for the best performance. I got decent life out of the Notch coil and you can clean it gently and rewick it, if dry burning make sure it is at 20 watts or lower. These are proprietary Notch coils as well, the other Notch coils I have from Wismec and some OEM’s would not fit so if you like them you will need to order more from Ehpro. 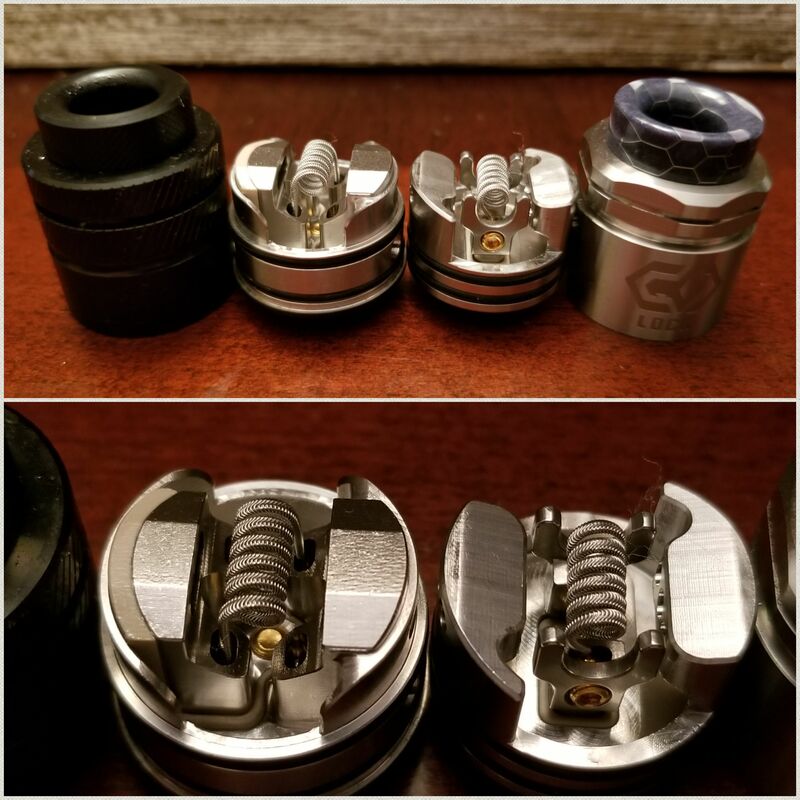 Moving on from the Notch coil I tried a few builds but my favorite was a single SS316L Alien, I used the same in the Froggy RDA before realizing that RDA was scraped so I have a pic of both as I was going to compare them….lol. Flavor with most of the traditional coils I tried beat the Notch coil, the later just had the edge in ease of installing. Airflow wide open is a slightly restricted deep lung hit, close it off to only 2 air holes on each side and it is much more restricted, I preferred it wide open and it was just about right for a single coil RDA. Not the best single coil RDA for flavor I have tried, Ehpro made the Iguana RDA that for some reason they never released, love that RDA, the Lock is a step down but not too far off. There is a notch in the top cap as well that stops the top from spinning when you get to full open on the airflow. This also aids in installing or removing the RDA as the top cap will get to a certain point and stop spinning. 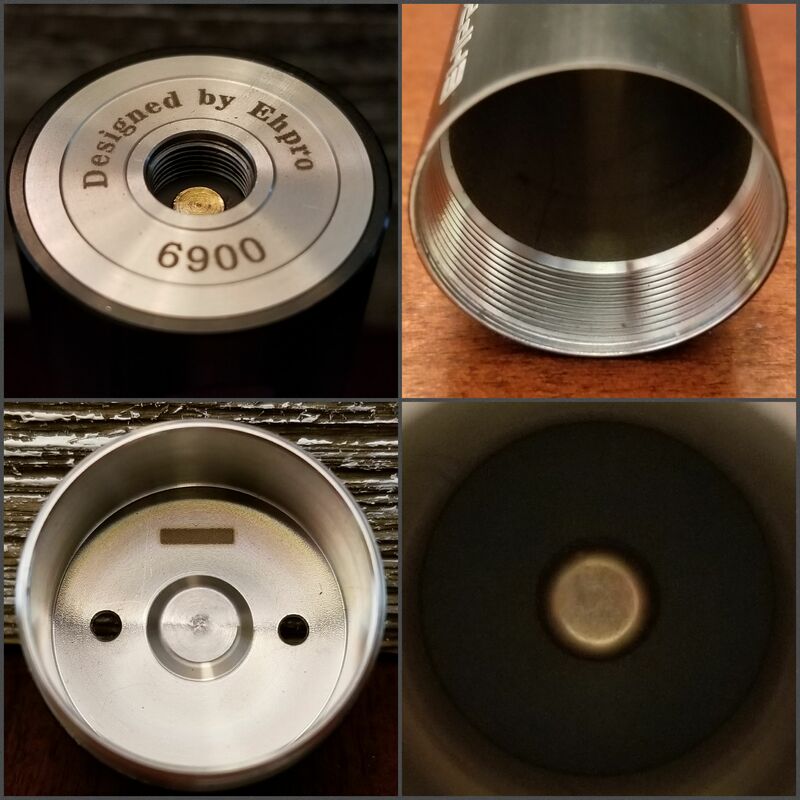 The o’ring tolerances on the top cap are on the too loose side for me, don’t pick up your mod from the top cap, it will come right off. Not like you can just rub up against something and your top cap comes right off but it can easily come off in a pocket of bag, a little tight on the o’rings would have been better. I have to say the Lock RDA is beautiful in person and the machining is excellent, the only con I had with it was the o’rings. The way the SS version I have picks up the light it screams quality, almost has a very slight rainbowish effect to it when the light hits it right. 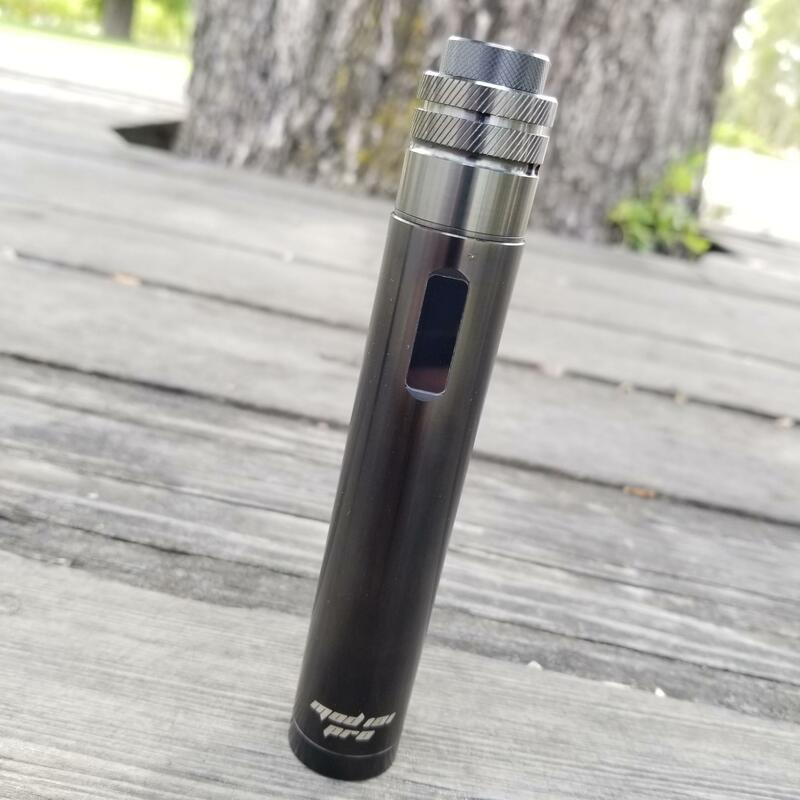 Normally when I get to the end of a review I take account of how often I just grabbed for a product as I am going out the door and the Mod 101 Pro went with me a LOT. So much so that a friend of mine has been chomping at the bit to buy 2 for himself and yes, he offered to buy my review sample but this puppy is staying. Can’t say the same thing for the Lock RDA, I like it but there are other RDA’s I reach for first. The Lock is not a bad RDA by any means but o’rings are a pet peeve of mine and it is just too loose. I am also not a big fan of Notch coils, I can use them but that is during desperate times when I run out of normal coils. I would definitely recommend the Mod 101 Pro to anyone as long as they don’t need internal charging. It is always recommend to charge your batteries externally anyway but sometimes it does come in handy. 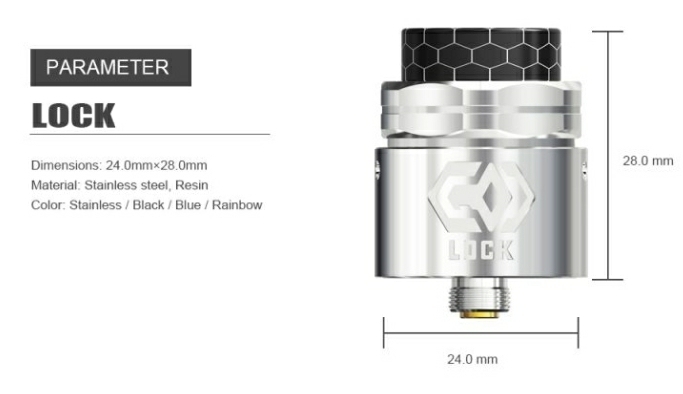 I am hesitant with the Lock RDA unless you happen to have spare o’rings to swap out or it has been fixed with the production units. There are some fans of Notch coils too and this one performs just as good or better than other Notch coil tanks, it is just not for me when compared to traditional coils. 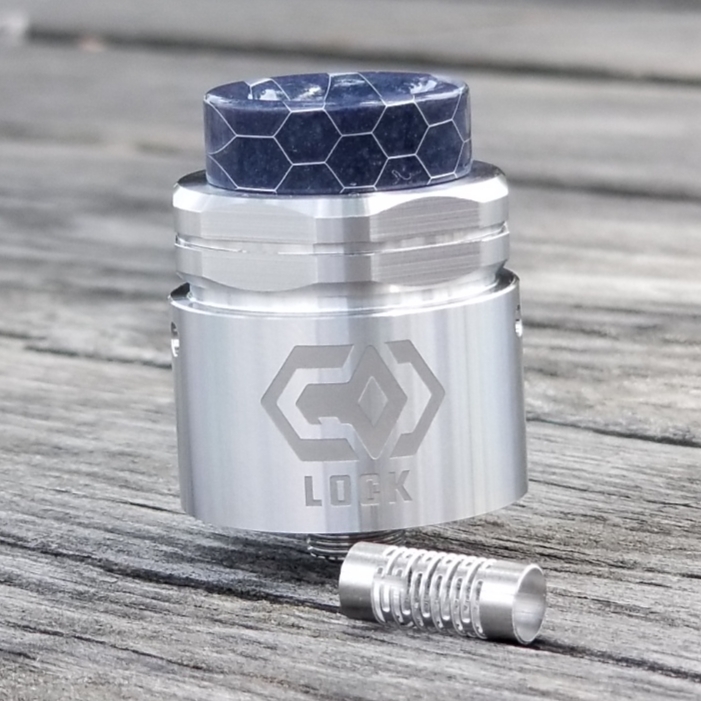 The Lock RDA is a beauty though and the performance with traditional coils is good, I still have that blue Lock in my head….dammit. 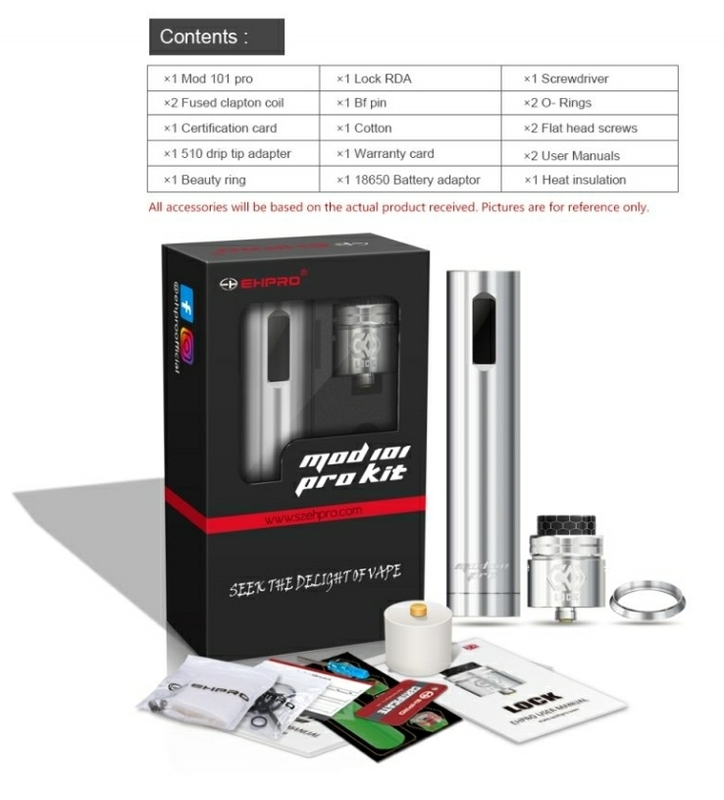 You can find more info here: https://www.szehpro.com/project/mod-101-pro-kit/ and thanks to Ehpro for sending me the kit, it is always a plus when you get an item you will continue to use after the review is done. GUEST REVIEW -Hcigar WildWolf 235 box mod review by Mjag…No DNA no problem?